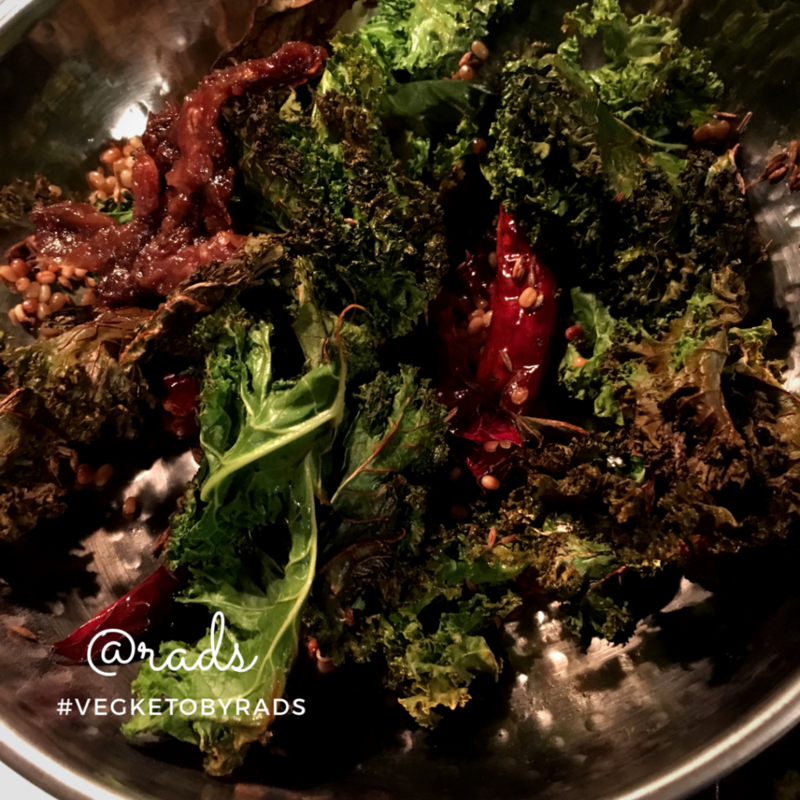 You probably are wondering what this Kale is that’s gone spicy and are thinking of those dried and crispy kale chips with a ton of spice on them. Well, yeah, it is that, kinda, but even better and I can guarantee you that! 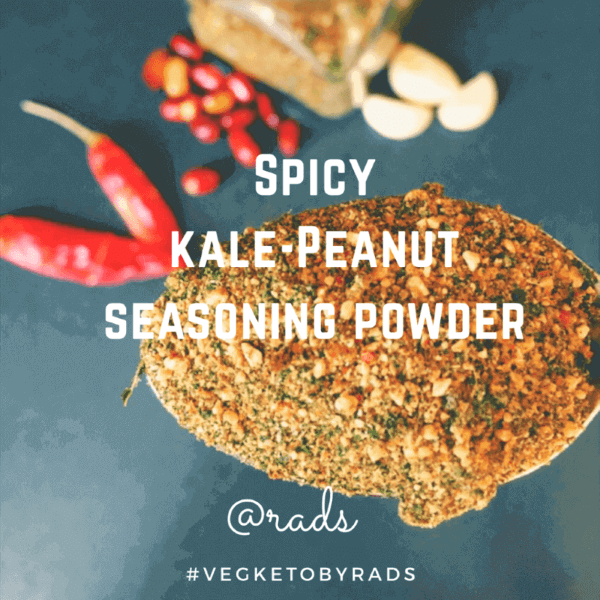 Kale-peanut seasoning and spice powder is a dish that’s as traditional as it is easy to adapt to all dishes that the low carb lifestyle brings in. I am from Andhra Pradesh, India. I grew up outside the state but most of my cooking has a slight inclination towards how dishes are made back in a Telugu or an Andhra kitchen. I am also a simple cook and as much as I like to improvise, with time I’ve realized that most of the dishes that my mom made were simple and were done quickly. Going low carb and keto made me realize how much of a parallel it is between the two kinds of cooking and how simple and quick dishes get done when one removes all the extra carbs and grains from our ingredients. So, what is this Kale and how am I making it spicy and how are you going to eat this? This requires a bit of roasting and then simply powdering the whole mix into this delicious heavenly smelling spiced powder. This can be eaten with hot rice and some ghee, or sprinkled over vegetables that need some spicing. Why is it so good? The answer is not just coz it’s spicy (I know, my tongue insists it’s that, but there’s more to it) – it is protein packed and is healthy in a low carb way and it’s got kale it in, so yeah! Dry roast one cup of peanuts in a pan till nicely brown and well, roasted. Add 6-7 red chilli peppers (you could add more or less depending on how much heat you want, but this is usually good if you buy them from the Indian store) and roast them on medium heat for some more. Add 4 garlic pods, 1 tsp cumin seeds and 1 tbsp of chia seeds and shut the heat off. Add a small marble sized ball of dry tamarind. You could alternatively use dry mango powder or amchur if you’d like. Let it sit on the pan and cool down. 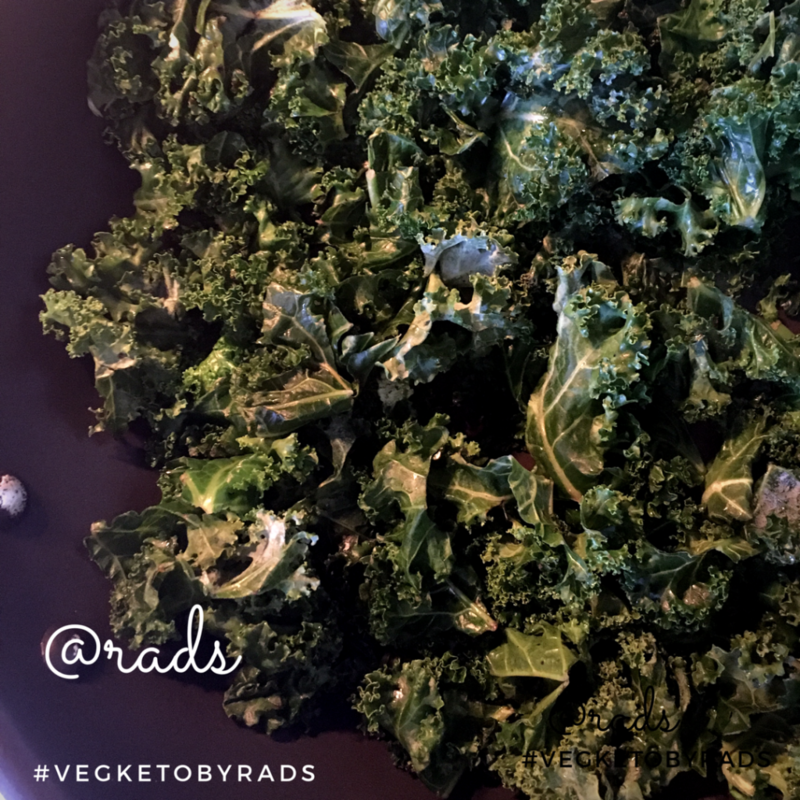 Chop about 5-6 cups of the fresh kale into medium sized pieces and devein the thick parts and toast them in the oven for 7-8 minutes. It will shrink to less than half the quantity. Let cool a bit and crush them. Grind the peanut mix together so it’s about 75% crushed and all ingredients are mixed and ground well. Add the dry kale and pulse the mix a few more times so it all comes together nicely. Remove and check for those pesky dry veins and remove. The simplest way to do it is to place the powder in batches in a wide bowl and gently shake it around. The larger particles including the pesky veins will rise above and you can pick them out. Add salt and mix well. Store. Without garlic, this will have a shelf life of a good month or two. With garlic, I am usually cautious and depending on the weather outside, I either make small batches or use it up quickly or save it in the refrigerator. Mix it with your quinoa/rice/millets/barley – add ghee and eat. YUM! Sprinkle over any roasted vegetables to eat as is. Mix a spoon of it into yogurt/curds and eat, the flavor mix is amazing! Any else you can think of?